When our Honda Accord was stolen right after we moved to California, I remembered your son’s video about the 500,000 mile Acura! I told my husband about your son and his car, so we bought a 2000 Acura. 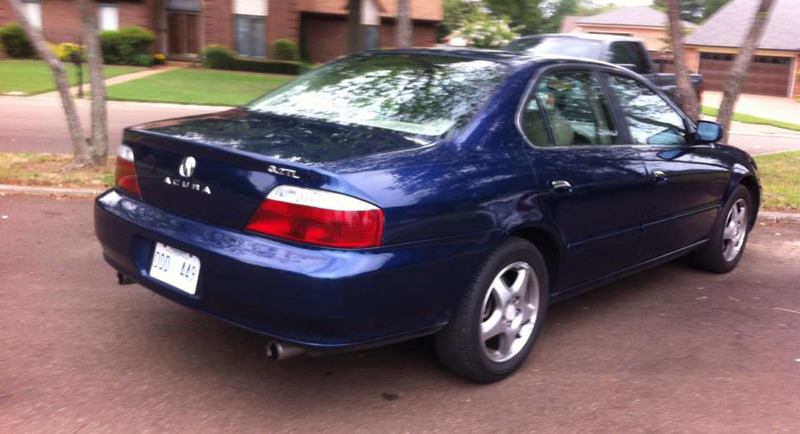 Then my son bought a 2002 Acura. We’re hoping both make it to 500,000 miles and beyond! I got in touch with Tina to congratulate her on a fine purchase decision. 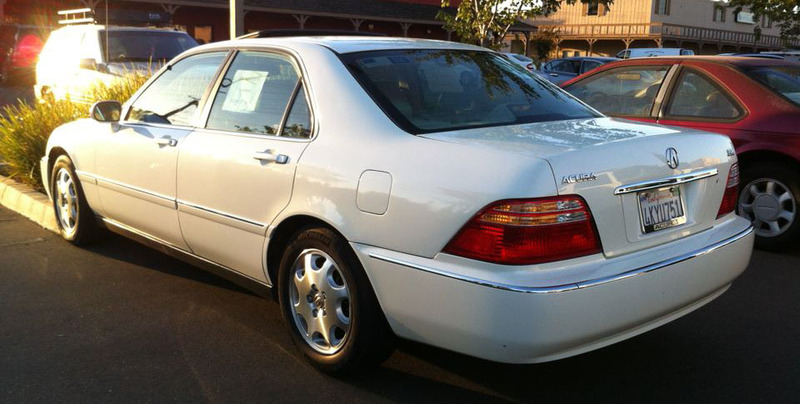 Here is her husband’s pride and joy, a pearl white 2000 Acura 3.5 RL. 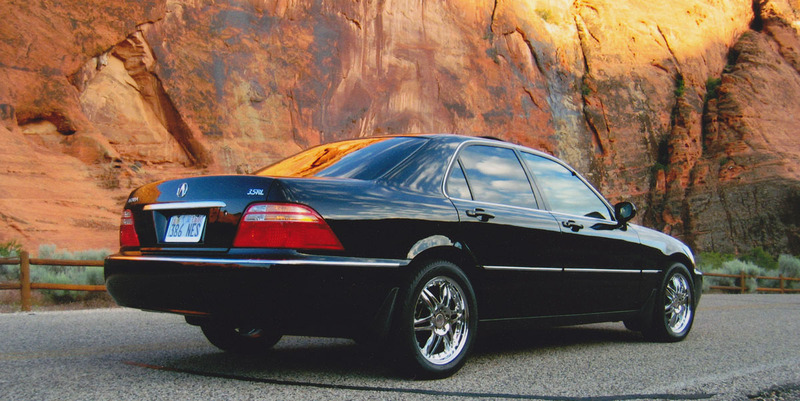 This car, minus the color, is identical to a 3.5 RL that my mom owned from 2004-05 (pictured below). Check out my recent write-up on the 2014 Acura RLX for a little history on the RL model and how it’s evolved over the years. In our -8 temps this morning, my Trail Blazer was sputtering and wouldn’t idle. So I got to take the Acura to work so my husband could take the Trail Blazer to the shop. Below zero temps didn’t bother the Acura! I actually stopped a couple weeks ago and took pics of a 1997 Acura I saw for sale for $2,000. But it’s no longer there, so I’m afraid someone snatched it up! Dang it! Thanks, Tina, for sharing your enthusiasm for the Acura brand and I am confident your cars will serve you reliably for many years to come. Check out my new license plate that arrived this week! This entry was posted on December 12, 2013 at 5:31 pm and is filed under Reader's Ride. You can follow any responses to this entry through the RSS 2.0 feed. You can leave a response, or trackback from your own site. 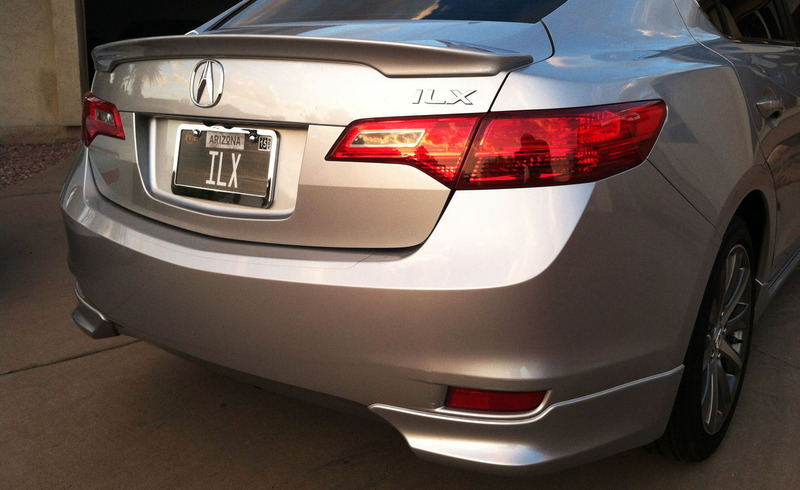 ILX license plate is too cool. Isn’t that sweet! I couldn’t believe the letter combination was available. And I enjoyed the design of the plate too. I had a bunch of top picks, but ended up selecting this “FFA” / Agriculture series plate because the charcoal color is a nice compliment to the ILX “Silver Moon” paint. Glad Tina got in touch with you! “Carsick” usually refers to motion sickness, but I think in this context it means you’re missing that black RL! It was a beauty. Future Farmers of America? What’s that about? Posted first then read your previous response. Charcoal color? I thought you might have been a secret 4H guy or something. nice! 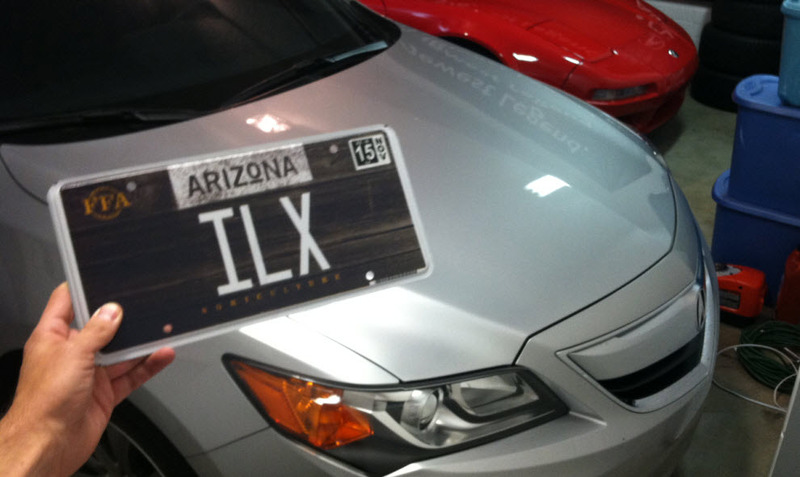 A little personalization for the ILX! (excuse the spelling) Seems as if some of the Tyson Acura magic is now rubbing off on other folks! Thank you Dave! Glad you approve of the plate. Hope you have a great weekend up there in the PNW. I’m in Salt Lake for a family party (flew, this time) and freezing my buns off. “freezing” for those that live in the SW is what? Below 65 degrees?! LOL Have fun and travel safe.